At Ascot Heath Infant School we ensure that each child is offered a curriculum that promotes high standards of achievement, regardless of ability, ethnic origin or gender. Each class is taught through topics which ensure full coverage of the Early Years Foundation Stage (EYFS) curriculum in Reception or the National Curriculum in Years 1 and 2. Please click on 'Topic Webs' pencil on the left to find out what each class is learning about each half term. We can admit 70 pupils into our EYFS unit. The early years staff work very closely to ensure all pupils have an equal opportunity to access the curriculum both inside and out. Our teachers and Teaching Assistants provide a secure base for each child and are able to support and respond to each individual’s needs and monitor their progress. The Reception children follow the EYFS Framework and Guidance. This is a continuation of their pre-school curriculum. The three Prime areas of learning are: Personal, Social and Emotional Development; Communication and Language; and Physical Development. There are four Specific Areas of Learning: Literacy; Mathematics; Understanding the World and Expressive Arts and Design. The curriculum is practical, engaging, active and multi-sensory. The staff plan together and there is a good balance of directed activities with an adult and activities initiated by the children. Weekly information is published on the website to inform parents of the learning focus for the week and to celebrate previous learning. During their first year in school the children are assessed, through observations and discussions with them, in all areas of learning and at the end of the Foundation Stage parents receive a report and a record of their achievement. Please look at the topic web page to find out more about your child's learning each term. In Key Stage One pupils follow the National Curriculum which is broken into subjects; English, Maths, Science, Computing, PE, History, Geography, Art, Design Technology and Music. RE is planned using the Bracknell Forest syllabus and Personal, Social, Health Education is taught in order to support children’s social and emotional needs. These subjects are often taught through topics. These change each half term and the curriculum coverage can be seen in the “Curriculum Planning” tab on the left. Throughout Key Stage One teachers are continually assessing each child's progress to ensure that they are able to make the best possible progress and also to quickly identify any problems or difficulties which may create a barrier to a child's learning. There are also more formal assessments carried out in both Year 1 and Year 2. 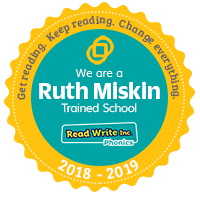 In Year 1 all children nationally are assessed in Phonics to determine whether they are meeting the expected age related standard. In Year 2 the children are assessed at the end of the year using both "tests" and teacher assessments to determine the level each child is attaining. At the end of the year in July every child in the school receives a written report. Here are our End of Year Expectations booklets for Year 1 and Year 2 which were given out at the February Parents' Evening. Please click the relevant year group to find out the minimum expectations your child needs to meet in order to achieve Age Related expectations in each year group. If you did not receive one please speak to your child's class teacher or the school office. If you would prefer a hard copy of the booklet, please ask at the school office.